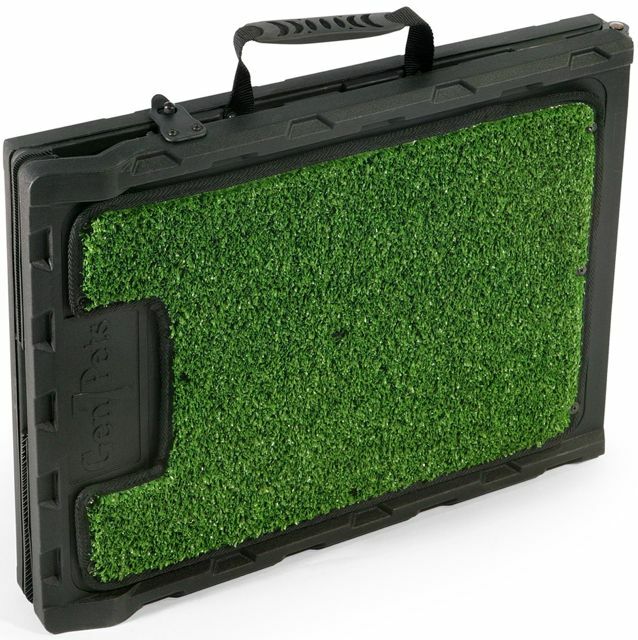 CarryMyDog.com is proud to sell the Natural-Step® Mini Ramp with Poly-Grass which allows the dog to get a grip and feel secure while walking up a soft surface that will not scratch its paw pads. 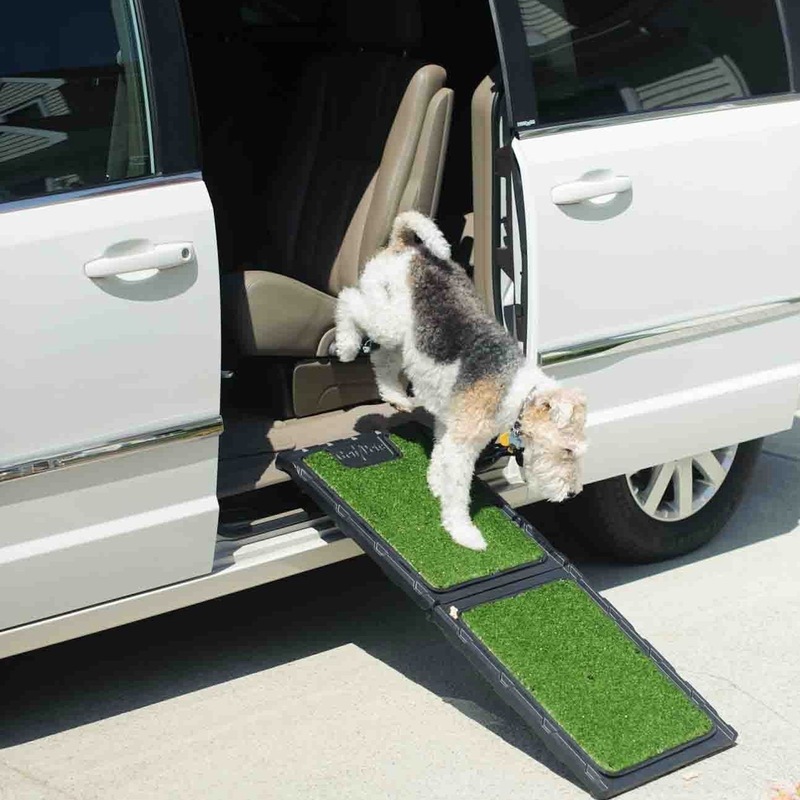 Your dog will be comfortable on this artificial grass when using the Natural-Step ramp. It is lightweight and easy to open to its 42” length and fold to 21”. The Natural-Step® Mini Ramp can easily be stored in your vehicle, under a bed or couch. 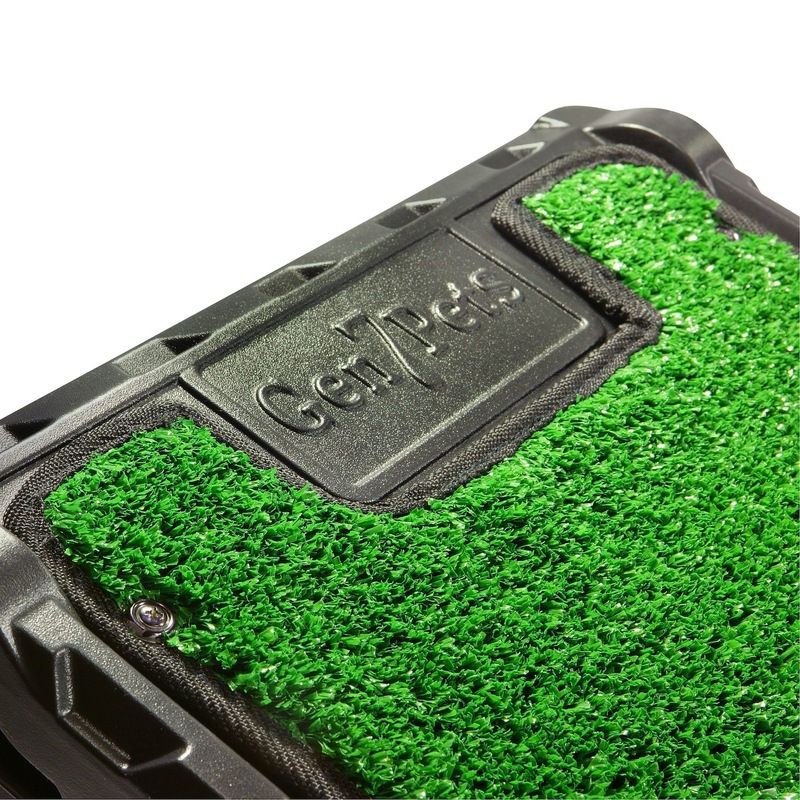 Safe-grip artificial turf ramp tread. Folds flat for travel or compact storage. Automatically locks when folded-a great feature. Durable rubber grippers on ends mean secure placement. 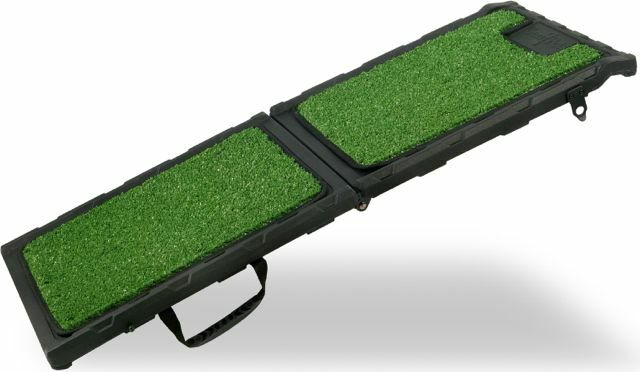 Your pets will love this strong Natural-Step Mini Ramp from Gen7Pets and Carrymydog.com. Order yours today!